You know when you were a kid and wanted to make money eating candy or pretending to be a princess or playing video games? Well, guess what? This is real life. Business Insider recently featured five men who bring in a ton of money in cash, sponsorships and living expenses — into the six-figure range — by playing League of Legends, the most popular competitive video game in the world. Let me say that again: five men in Los Angeles are getting paid an enormous amount of money to play video games. The men who make up “Team Liquid” play League of Legends almost every weekend from January through August. At the North American League Championship Series (LCS) studio in Los Angeles, they compete against nine other teams for the chance to win the World Championships and a $1 million prize. Apparently, the U.S. now recognizes professional eSports (“electronic sports”) players as professional athletes. One Team Liquid member, Diego “Quas” Ruiz, came from Venezuela to the U.S. on a professional athlete visa. “Most of Team Liquid wakes up around 12 p.m. and many stay up playing the game until 3 a.m. or later,” reporter Harrison Jacobs explains. Photos of the LA condo they live in for free show us a hoarder’s paradise, with food cartons and character toys littering their high-tech work stations. it looks like gaming is literally all these guys do. But the life of a pro gamer is not all fun and games. “Being a professional gamer is a sweet gig, but it’s not all fantasy. With high pressure and low job security, gamers play up to 14 hours a day to stay on top of their craft, all while devoting their formative years to skills that may have little marketable value later in life,” says Jacobs. According to Business Insider, Team Liquid earns money from a few different places, including gaming hardware and software company, Razer, which provides each player with a mouse and keyboard. They also live for free in a duplex in Santa Monica, CA. Curious what it’s like to be a professional gamer? Check out Business Insider’s coverage of a game day for Team Liquid. 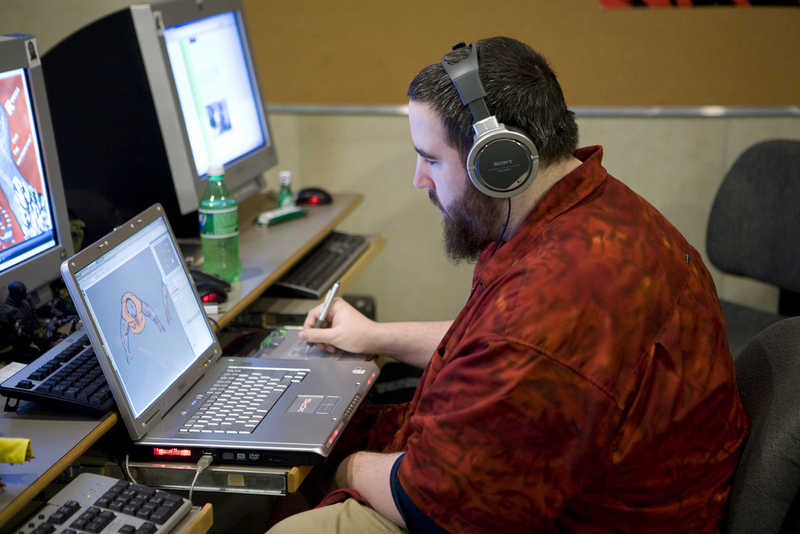 Your Turn: Would you want to be a professional gamer? Or would you rather play in your spare time than turn it into a job?